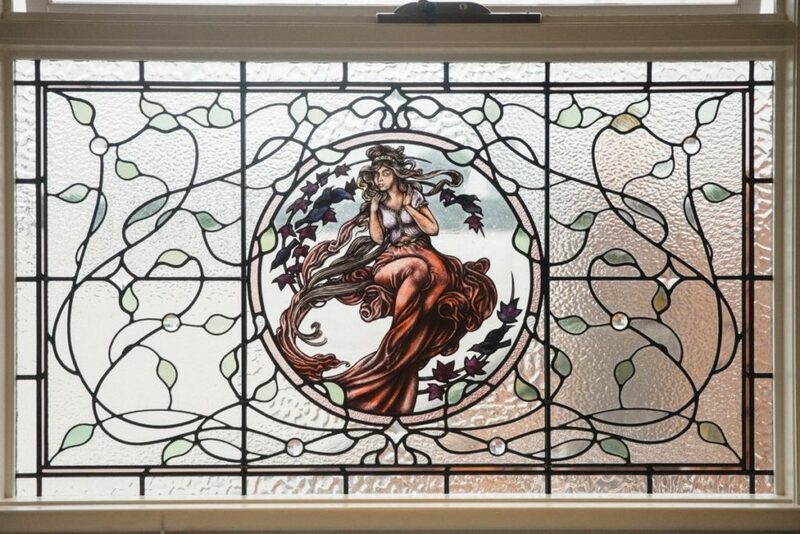 Taught by his grandfather, Kim Fitzpatrick is a third generation glass artist – and his grandfather’s skills as a teacher were clearly pretty good, as Kim’s Perth based business, TSG (Tradition Stained Glass) has earnt a reputation as one of the best in the business. 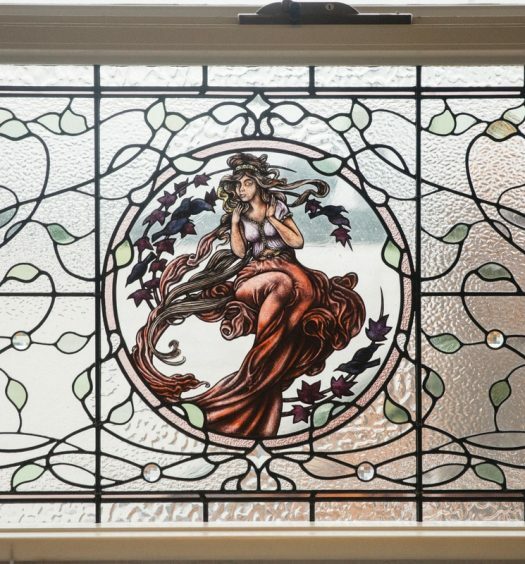 TSG’s proven expertise in replicating and restoring stained glass in the age-old method in which it was created has resulted in the company working on an array of significant projects, including cathedrals, Parliament House in Perth and other historically important buildings. Now Kim is forging a reputation as a leader in a whole new area of glass art. 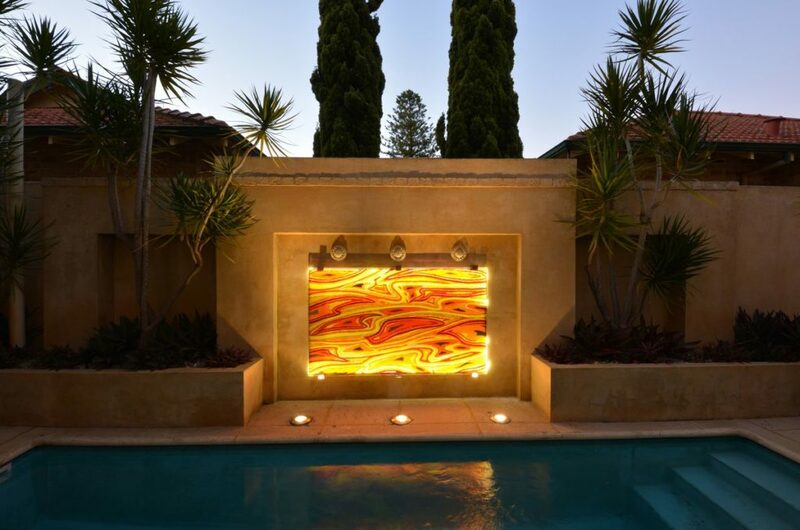 With his inherent artistic skills and a passion for glass as a medium, Kim has been creating spectacular fused glass artworks and their diverse application and installation abilities has resulted in an increasing demand for his work from both commercial and private clients. Kim’s fused glass artworks are created by combining various coloured glass together in a super-hot kiln until the colours blend together to create one piece. 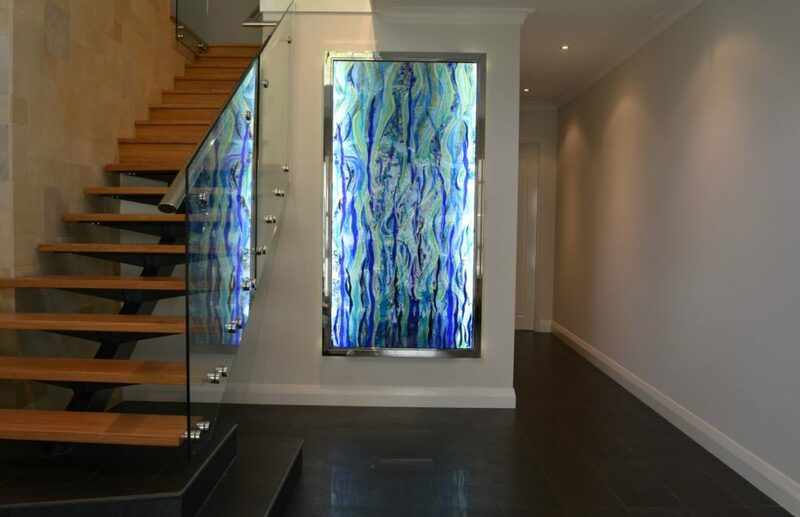 The ‘melting’ process allows the glass to merge together in an organic and fluid manner, and express abstract shapes and soft, free-form contours and colours with stunning effect. Refining the technique so that the various glasses and colours blend together for a specific desired outcome has taken Kim considerable time and effort to master, however he can now custom design pieces in specific colours and patterns to suit the individual desires of each client, whilst still guaranteeing that each and every artwork is 100% original. 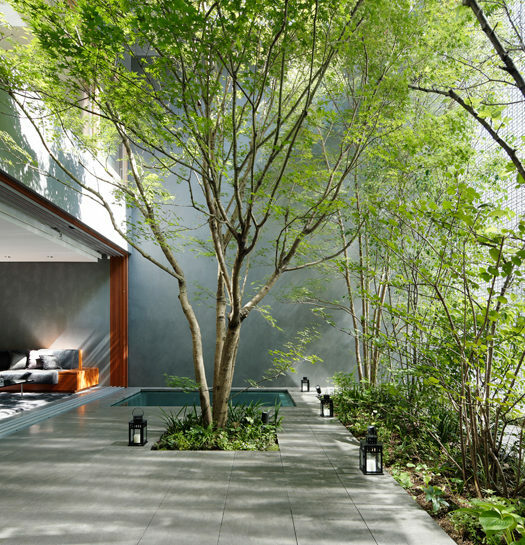 The ‘near unbreakable’ fused glass panels mean that the architectural application of Kim’s artworks are truly endless. 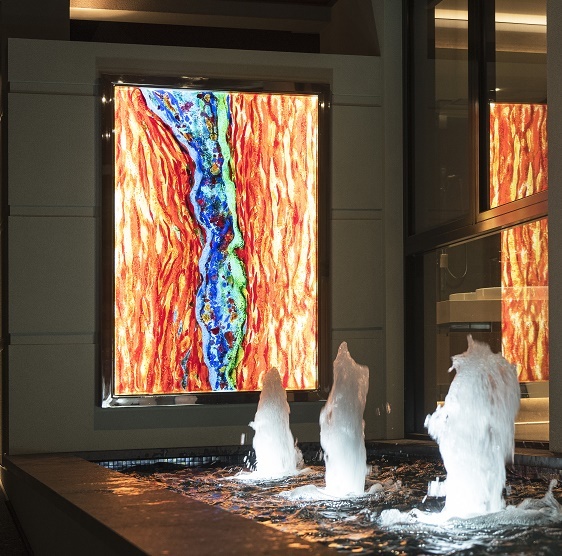 To date Kim’s work has been integrated in commercial spaces and luxury homes as windows, door panels, splash backs, outdoor water features and of course decoratively, and when installed with backlit LED lighting they are elevated to a whole new level, with the creation of a diffused ambient light that emanates from a 3D abstract mural. 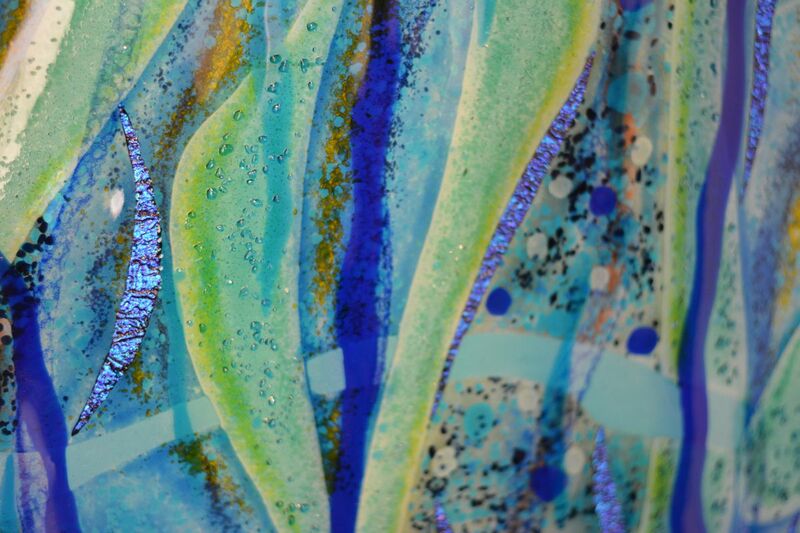 Click here for more information on Kim’s fused glass artworks.